Ships from Hongkong. 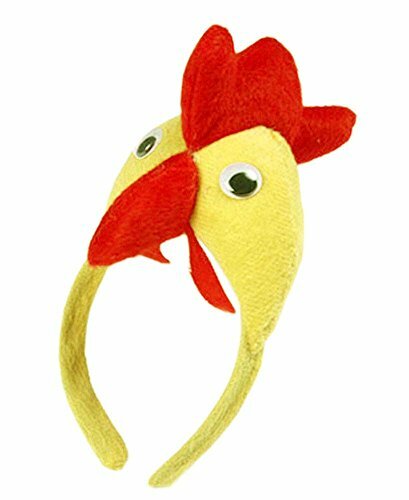 This lovely animal hat is the perfect party favor for your kids birthday party or other themed party. It is light and comfortable. This adorable hat is a great way for you to show your love and best wishes to your lovely children. It can be as party favors, toys, or gifts for you kids. And it is a great way to remember your kids event. Keep children of all ages engaged with more fun and happiness. Package include 2 party hats. The largest head circumference is about 40CM (15.7''). It is a great birthday party hat or other themed party favors for your lovely kids. Perfect choice for Kids Toys, party favors, wonderful gifts. Fun for most ages kids and adults. Uncage your inner party animal with these fabulous party hats. Non-woven fabrics surface is very comfortable for your kids using.